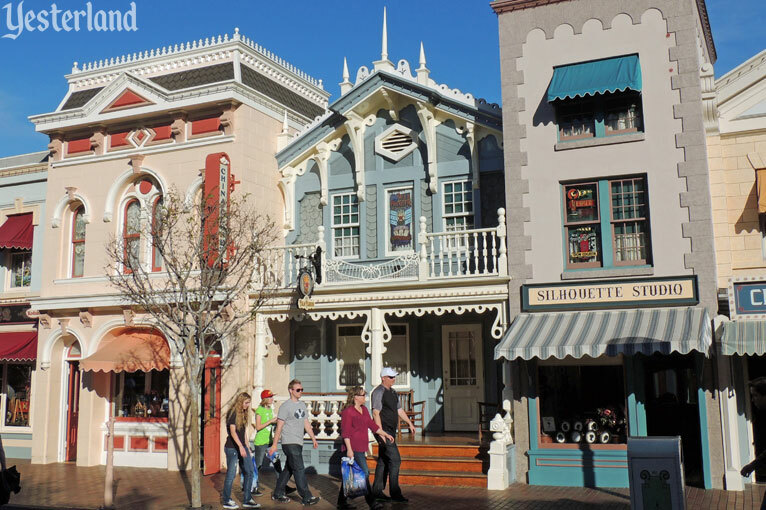 There’s an unusual building when you walk up Main Street, U.S.A. at Disneyland Park. Unlike the small-town, circa-1900 commercial buildings around it, it looks like a family residence. It has steps leading up to a porch, and its front door is recessed there. If we can imagine a backstory, perhaps this was once a family home on the outskirts of town, but the thriving commercial district grew to surround it, so it eventually became a store. 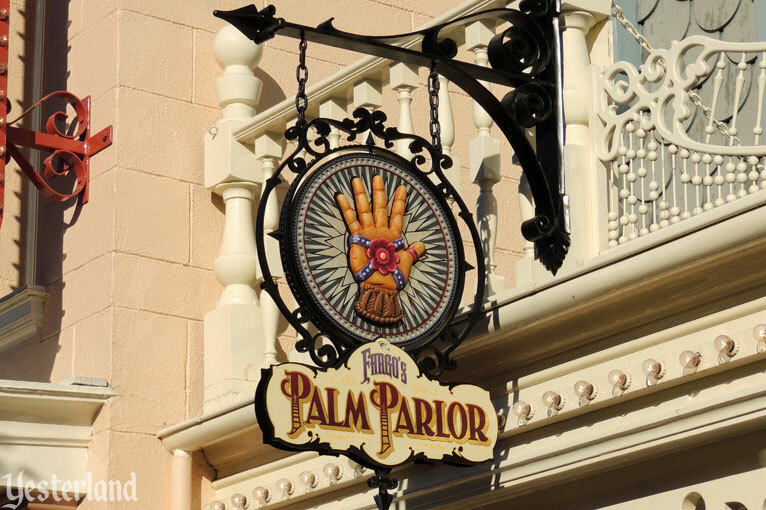 “Palm Parlor” on Disneyland’s Main Street, U.S.A. It was Hollywood-Maxwell’s Intimate Apparel Shop, home of the Wizard of Bras, when Disneyland opened in 1955. Yes, it was an underwear store with an underwear show. To this day, it remains one of the weirdest stories in the history of Disneyland. Since April 2009, it’s been Fargo’s Palm Parlor. At least that’s what the sign says. The door is now locked. The store is actually part of the China Closet. But who the heck is Fargo, and why is there now a prominent sign for an occult business on Main Street? 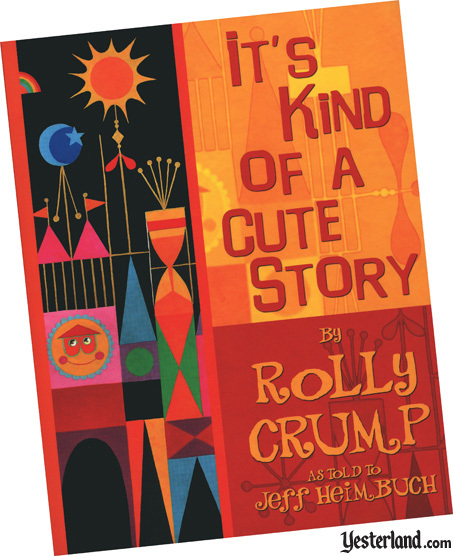 Fargo, it turns out, is Roland Fargo Crump, better known as Rolly Crump. 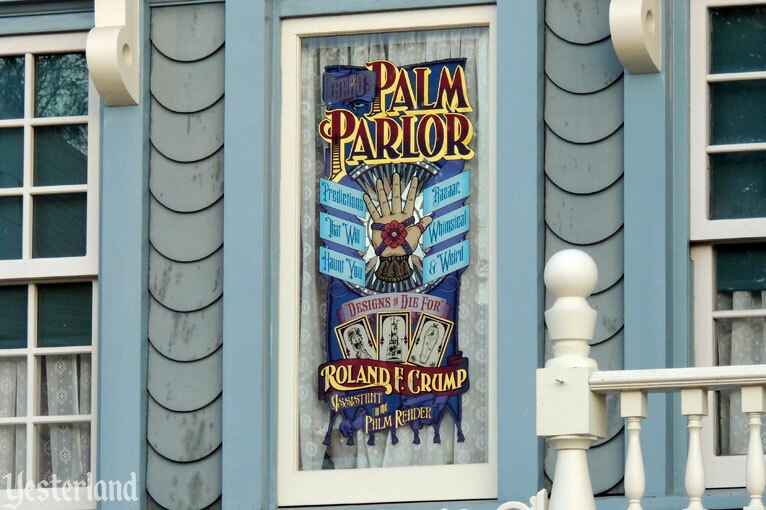 Rolly Crump’s window on Main Street, U.S.A.
A window on the same building honors Crump and provides clues to some of his many contributions to Disneyland, especially his work on the Museum of the Weird (never built), “it’s a small world,” and the Haunted Mansion. No, the sign painter did not misspell bizarre. 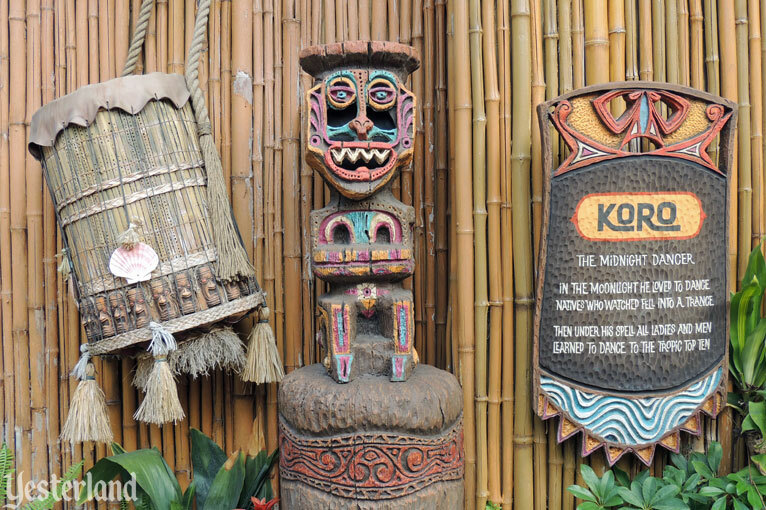 “Bazaar” refers to the Rolly’s redesign of the Adventureland Bazaar. When I look at the window, I’m reminded of one of my favorite theme park attractions of all time, Knott’s Bear-y Tales (1975 - 1986) at Knott’s Berry Farm. The whimsical and weird ride included a gypsy camp with a fortune teller. And, yes, Rolly Crump designed that ride too. Rolly Crump joined WED (Imagineering) in 1959, but he actually began working for Walt Disney Productions as an assistant animator in 1952. 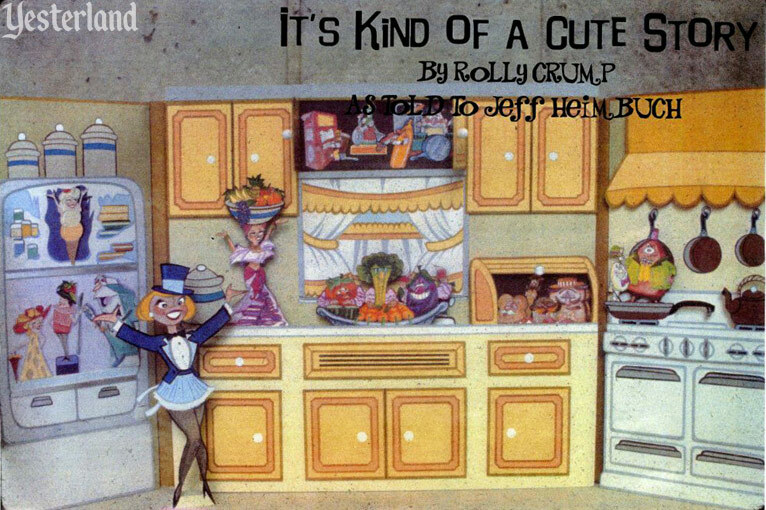 Now, more than sixty years later, Rolly tells about his life’s work in an illustrated book, It’s Kind of a Cute Story. The other name on the cover is Jeff Heimbuch, the prolific and erudite MiceChat columnist and podcaster. As the years went on, and I started to amass my Disney knowledge, I found that I was always drawn to very certain and specific things in the Parks: the arms holding the candelabras in the Haunted Mansion; the Tikis with glints in their eyes while they beat the drums in the Enchanted Tiki Room; the wonderful toys of It’s A Small World. While I was fascinated with everything about Disney, these were the things that stuck out in my mind. I had to know more about them. Little did I know that one man was behind all of them. Jeff emailed Rolly. They talked. One thing led to another. ‘Someone should really help this guy turn this into a book,’ I kept thinking. It wasn’t long after that I was invited to be that someone. I was absolutely floored! We, the Disney fans, are the beneficiaries of their collaboration. I absolutely loved this book—except for one thing I’ll get to later. Jeff did a masterful job of turning over a hundred hours of audio interviews into a book. 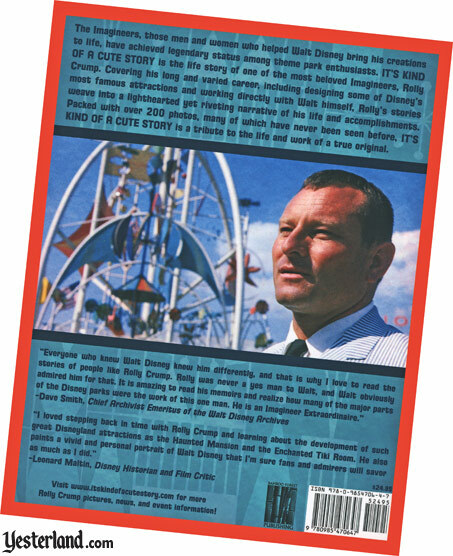 In the hands of someone else, the result might have been disjointed transcripts or dry text robbed of its sprit by being overly “cleaned up.” Jeff kept Rolly’s engaging, personal voice while giving readers well-organized chapters. 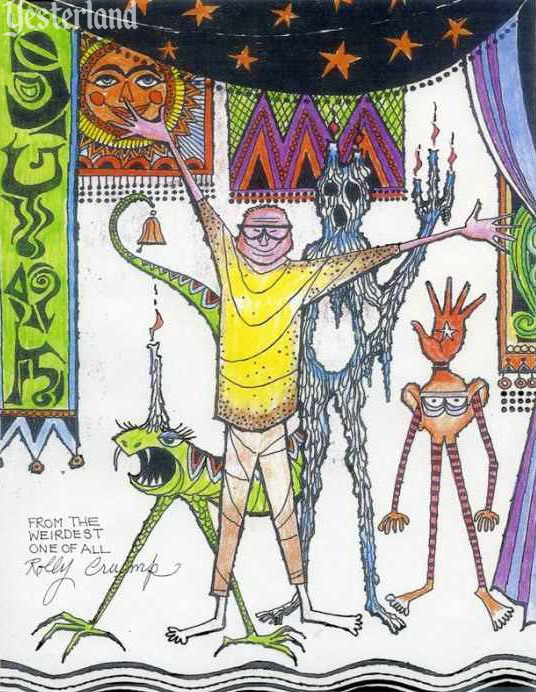 Rolly Crump with designs for the Museum of the Weird. One of the most fascinating chapters was about the Museum of the Weird. 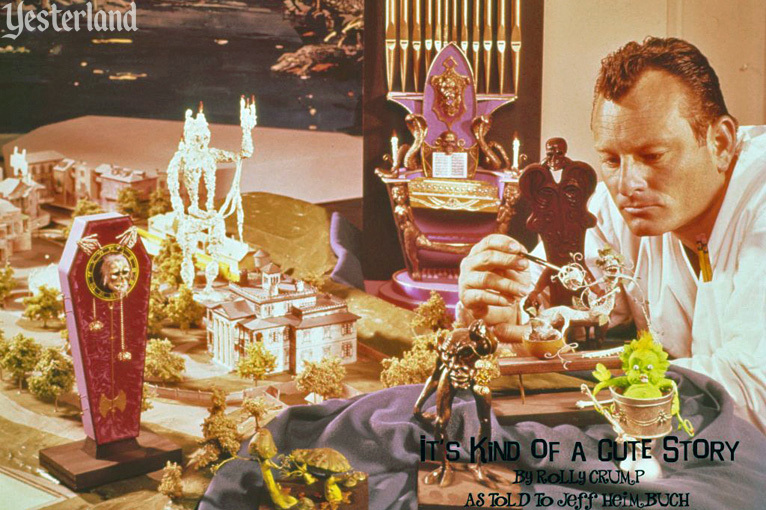 Most Disney theme park history fans have probably run across something about Rolly’s wildly inventive concepts for the Haunted Mansion. Very few of those ideas managed to make it into the actual attraction. Now, with this book, we get the details about the Museum of the Weird in Rolly’s own words and art. The 192-page, large format (8½" x 11") paperback is profusely illustrated with historical images and Rolly Crump artwork—in color, except when the source material was black and white. In the past, a small publisher would have faced high production costs for such a book, with a corresponding high retail price. A new, lower-cost printing process allows Bamboo Forest Publishing to sell this book at an attractive price. Be aware, however, that this book is not printed on thick, glossy paper. The cover is not glossy either. The photos don’t “pop” in quite the way that photos do in most large-format art books. The font is smaller than in typical books of this kind (which allows for more text). It’s similar in size to what you find in Time magazine, so it’s still a readable size. The pages have a pale, beige background. The text is more of a dark gray than a true black. As far as I’m concerend, none of this is a problem. Don’t expect a sanitzed, G-rated Disney version of Rolly’s career. I suppose some of the content could be considered PG-13. Rolly Crump’s art for Kitchen Cabaret at The Land pavilion at EPCOT Center. However, as I wrote earlier, there is one thing about the book that I didn’t like. Despite the wide page and small font, each line of text spans across most of the page. That means there are around twice as many characters on each line as in typical books. I usually don’t have trouble reading, but this book was not conducive to fluid reading. It required a lot of back and forth eye movement, and it was slow. And when I was tired, I had so much eye fatigue that I couldn’t proceed. The book’s layout might not be a problem for you, but it was for me. Large-format books often have two columns (or a narrower main column with sidebars) to prevent this problem. Time magazine articles tend to use a three-column layout. After struggling with about a third of the book (but enjoying the content very much), I sent a note to Jeff Heimbuch. Jeff defended the layout, explaining that they wanted the book “to scream Rolly,” and a two-column layout would not have fit with his style. The solution, for me, was to read the Kindle edition for the remaining two thirds of the book. I don’t have a Kindle device, but I have the free Kindle software on my laptop and desktop computer. It was a pleasure to read it that way. I assume many Yesterland readers have already enjoyed It’s Kind of a Cute Story—either the book or the Kindle edition. Perhaps you are one of them. As someone who spends an inordinate amount of time each year writing about defunct Disney park attractions, I’m often asked which attractions I wish I could bring back to the park. I usually answer, the Mine Train through Nature’s Wonderland—although I quickly add that Big Thunder Mountain Railroad was an excellent replacement. But if the question is not just about Disney, I answer Knott’s Bear-y Tales at Knott’s Berry Farm. 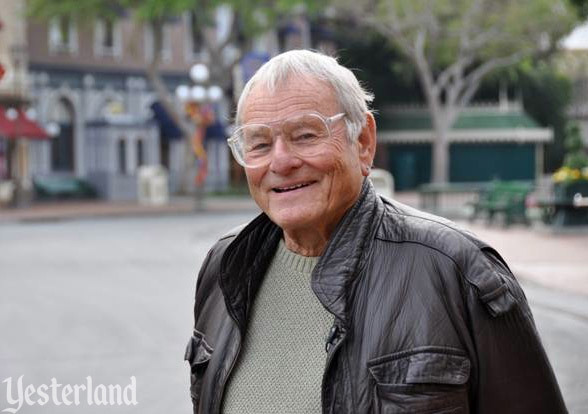 Rolly Crump – A true “original,” even among Imagineers, Rolly drew forth genius in others. Born February 27, 1930, in Alhambra, California, Rolly took a pay cut as a “dipper” in a ceramic factory to join Walt Disney Studios in 1952, and to help pay bills, built sewer manholes on weekends. 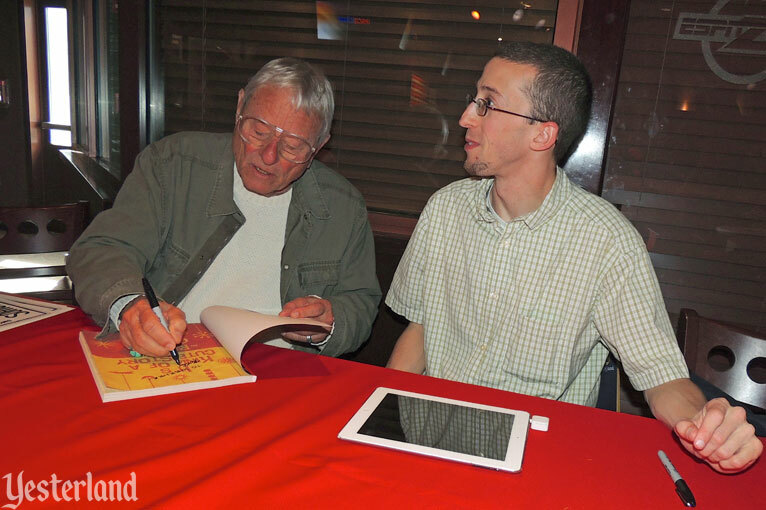 He served as an in-between artist and later, assistant animator, on various classic Disney films. In 1959, he joined show design at WED (Walter Elias Disney), Enterprises, now known as Walt Disney Imagineering. 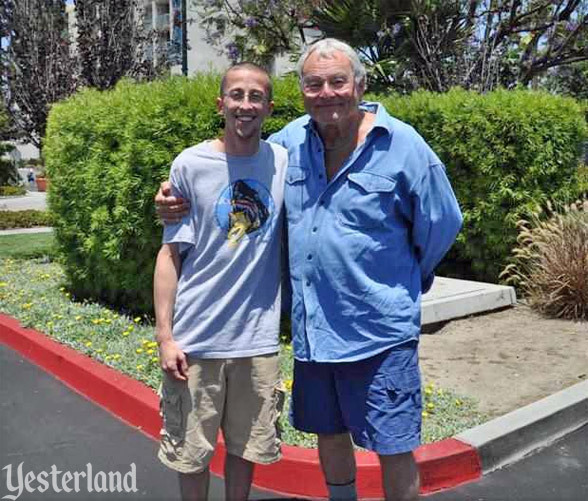 There, he became one of Walt’s key designers for some of Disneyland’s groundbreaking new attractions and shops, including Haunted Mansion, Enchanted Tiki Room, it’s a small world, and Adventureland Bazaar. 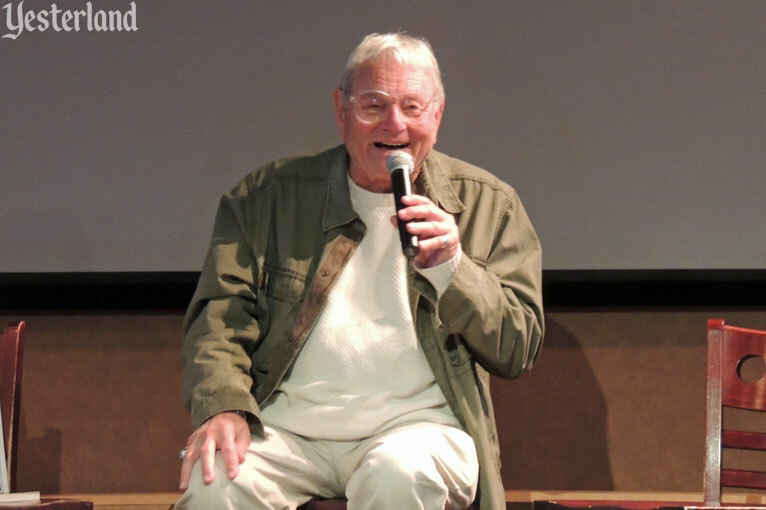 He continued working on and off for Disney for years, including contributing ideas to projects for Walt Disney World’s Magic Kingdom & EPCOT Center. Aside from Disney, Crump launched Mariposa Design Group, his own design firm, and consulted on projects including Busch Gardens in Florida and California, the ABC Wildlife Preserve in Maryland, and Ringling Brothers & Barnum and Bailey Circus World in Florida, the Cousteau Ocean Center in Norfolk, Virginia, and much more. Jeff Heimbuch – Jeff has had a love of Disney since a very young age. From the first time he stepped foot in the Magic Kingdom at the age of 4, he just couldn’t get enough. When he was old enough to finally understand how the magic happened, he fell in love even more. 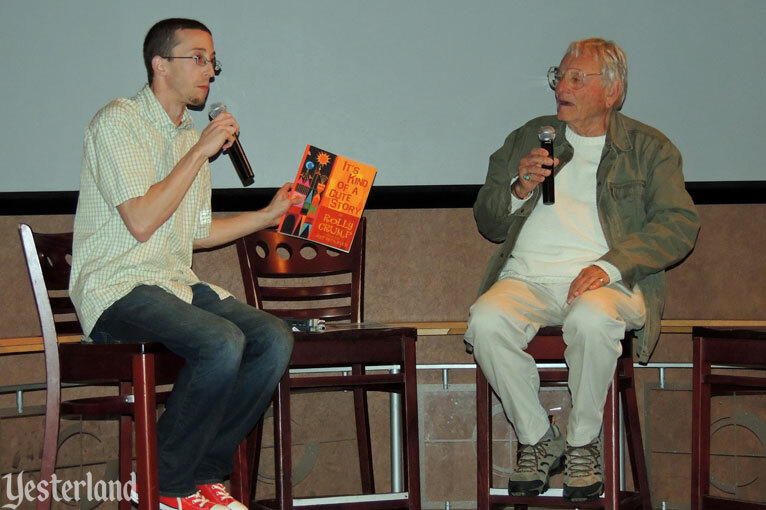 For years, Jeff has written on the various topics of Disney for a variety of publications, including several Disney fan sites and the popular Celebrations Magazine. Jeff just recently moved over to one of the largest Disney fan sites on the Internet today, MiceChat.com, where he writes two columns. In “From the Mouth of the Mouse,” Jeff interviews past and current Cast Members of The Walt Disney Company, and shares their stories. 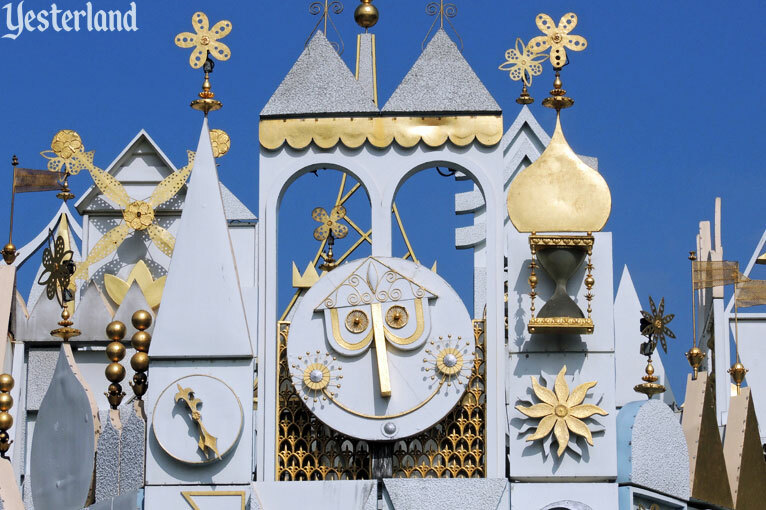 In “The 626,” he dives into the rich & detailed history of The Walt Disney Company, sharing the history of attractions, forgotten characters, and many other various Disney topics. The large-format paperback of It’s Kind of a Cute Story [ISBN: 978-0985470647] is available from Amazon, Barnes & Noble, directly from Bamboo Forest Publishing, and at selected bookstores. The limited edition, signed and numbered hardback edition is available only directly from Bamboo Forest Publishing (while supplies last). The Kindle edition is available from Amazon. Book: Afraid of Song of the South? Disclosure per FTC guidelines: Werner Weiss was sent a copy of the book It’s Kind of a Cute Story for review. Mr. Weiss does not receive any financial consideration from the authors or the publisher.